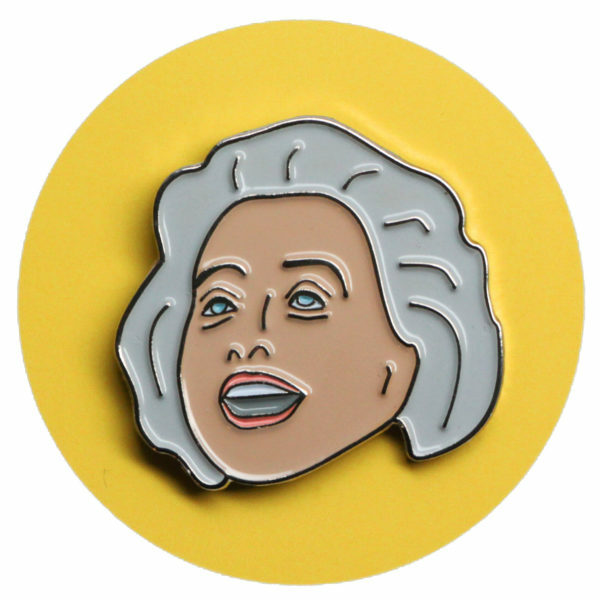 Glitter and be gay when you’re adorned with this Barbara Cook pin. 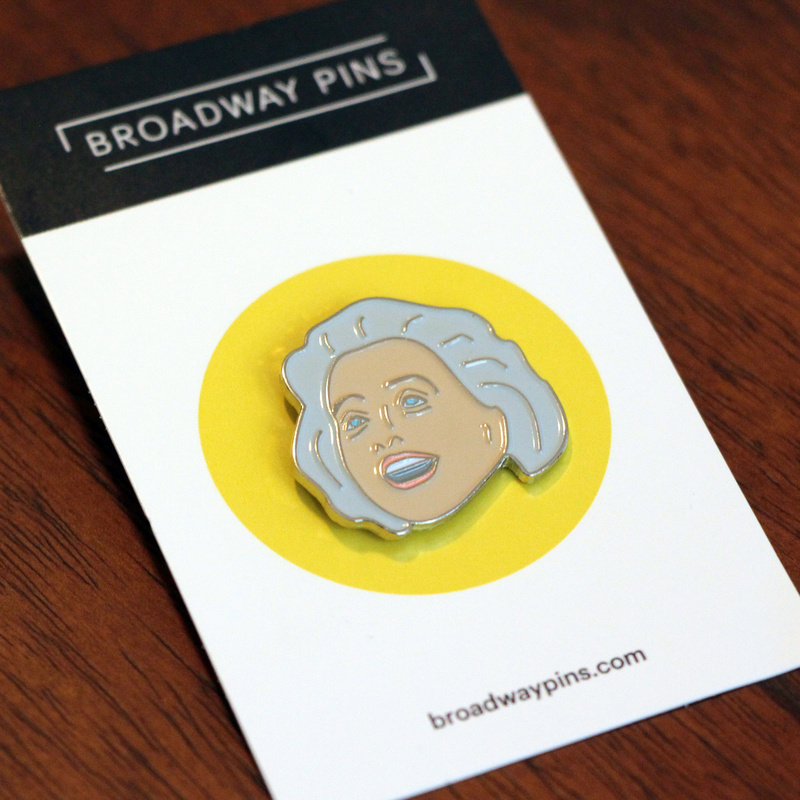 Pop it on your lapel while you’re enjoying some vanilla ice-cream and taking care of your rather intense daughter. 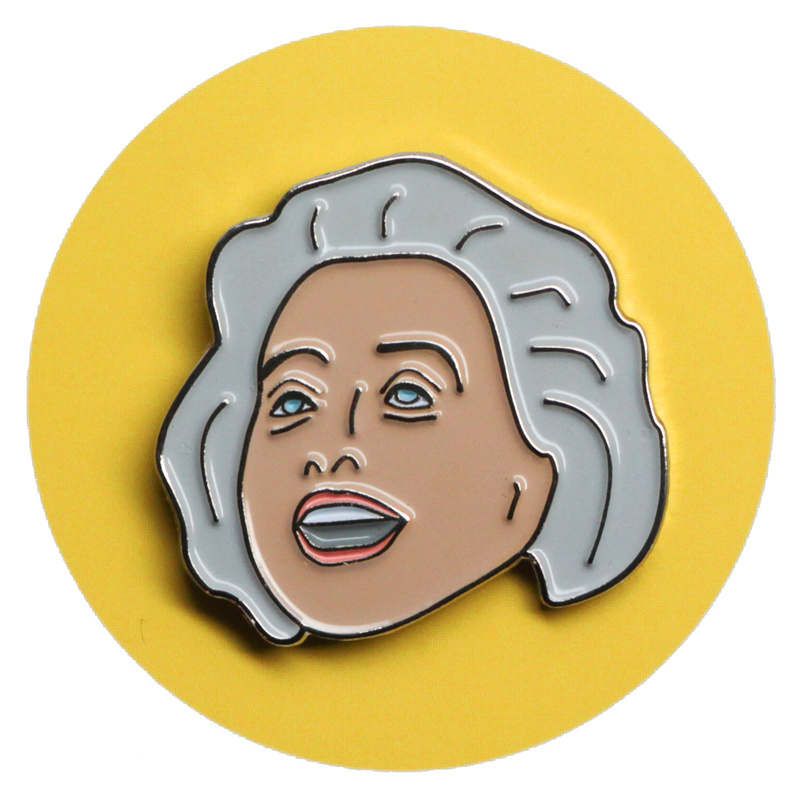 This Barbara Cook pin is 1 inch tall, plated in silver and comes with a black rubber clasp on the back.